Training Workshop, Asia-Pacific Forest Invasive Species Network, DEVELOPING SKILLS IN FOREST PROTECTION: AN INTEGRATED APPROACH, Beijing, China. 9th International Workshop of the IOBC-WPRS Working Group "Integrated Plant Protection in Fruit Crops", Sub Group "Soft Fruits", Riga, Latvia. 6th Symposium on Sustainable Use of Pesticides Directive-Integrated Pest Management, hosted by MEP Pavel Poc – Vice Chair of the ENVI Committee, European Parliament, room A5E2, Brussels. Focus of the symposium: Arable crops. 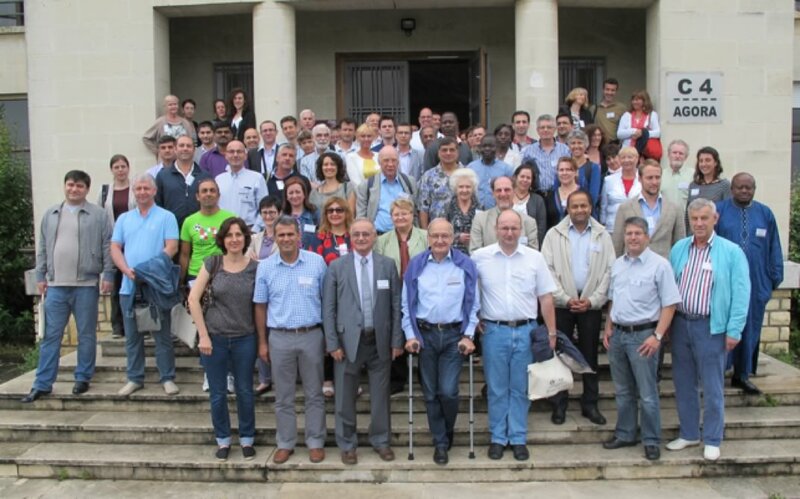 Meeting of the IOBC-WPRS Working Groups "Induced Resistance in Plants against Insects and Diseases" and "Multitrophic Interactions in Soil". IOBC-WPRS General Assembly (for IOBC-WPRS member only). This event takes place every four years and is a great moment of exchange for IOBC-WPRS members. Reports for the period 2013-2017 were presented by the Council and by the Convenors of the 21 Working and Study Groups of IOBC-WPRS. 11th International IOBC-WPRS Workshop on Pome Fruit Diseases, IOBC-WPRS Working Group "Integrated Protection of Fruit Crops", Sub Group "Pome fruit diseases", Jūrmala, Latvia. QuESSA, Quantification of Ecological Services for Sustainable Agriculture, International Conference, FAO, Rome, Italy. 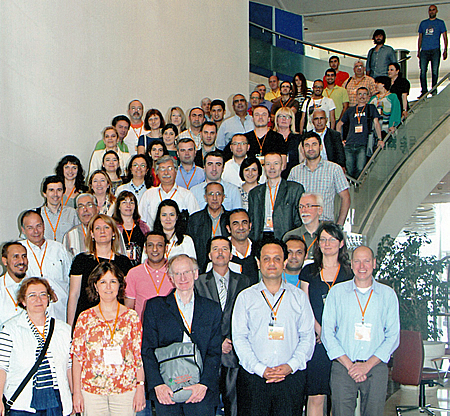 IOBC-WPRS Working Group "Integrated Protection of Fruit Crops", Subgroups "Soft fruits", "Pome fruit arthropods", "IFP Guidelines", "Pome fruit diseases" and "Stone fruits", 9th International Conference on Integrated Fruit Production, Thessaloniki, Greece. Biopesticides Europe conference, Barcelona, Spain. 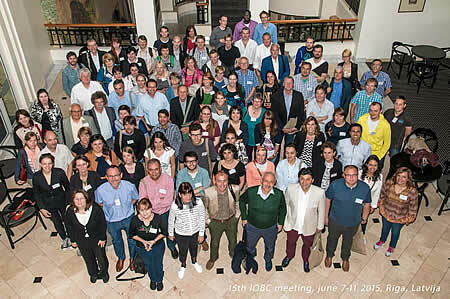 4th Symposium "Feeding Europe while reducing pesticide dependency"
40th Meeting of the IOBC-WPRS Working Group "Pheromones and Other Semio-Chemicals in Integrated Production": The Good Sense of Scent. Mishekenot Sha'ananin, Jerusalem, Israel. International Scientific Conference "Innovative and environmentally friendly technologies in plant protection", Almaty, Kazakhstan. Fifth Meeting of the IOBC-WPRS Working Group "Integrated Control of Plant-Feeding Mites", Castelló de la Plana, Spain. IOBC-WPRS Working Group "Integrated Plant Protection in Fruit Crops", Sub Group "Pome Fruit Diseases", 10th International IOBC-WPRS Workshop on Pome Fruit Diseases, Stellenbosch, South Africa. V Latin-American Workshop on Biological Control of Invasive Plants (in Spanish), Universidad Tecnica de Manabi, Portoviejo, Ecuador. Symposium "Feeding Europe with fewer pesticides", European Parliament, Brussels. 9th Annual Biocontrol Industry Meeting ABIM, Basel, Switzerland. 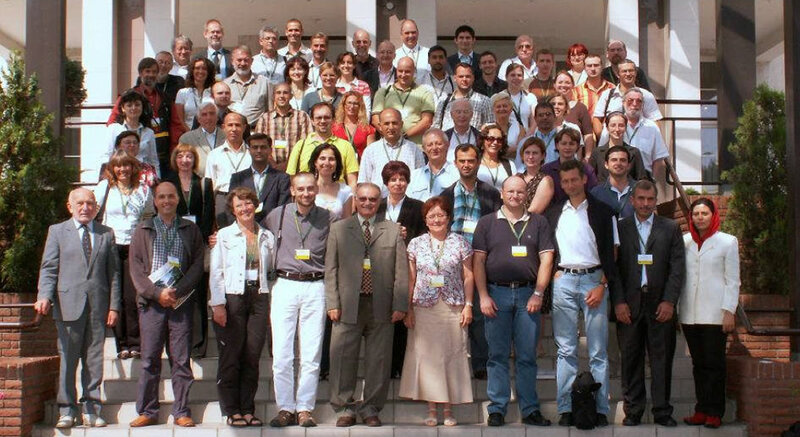 IOBC-WPRS Working Group "Integrated Plant Protection in Fruit Crops", Sub Groups "Pome fruit arthropods" and "Stone fruits", AGES, Vienna, Austria. Second IOBC-Global Working Group Meeting on Parthenium & International Workshop on Biological Control and Management of Parthenium, Addis Ababa, Ethiopia. 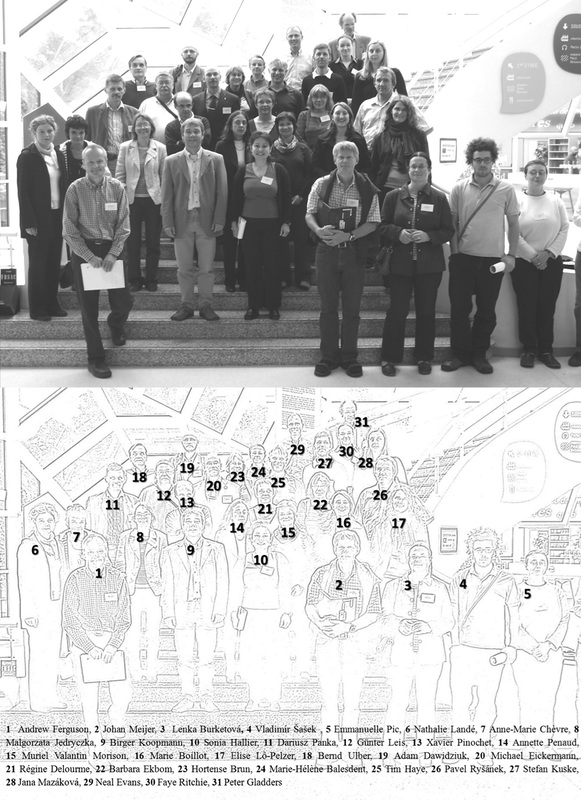 13th Meeting of the IOBC-WPRS Working Group "Biological control of fungal and bacterial plant pathogens"; Biocontrol of Plant Diseases: From the field to the laboratory and back again, SLU-Uppsala, Sweden. IOBC-WPRS Working Group "Landscape management for functional biodiversity", Poznan, Poland. Meeting of the IOBC-WPRS Working Group "Pesticides and Beneficial Organisms", Gembloux, Belgium. 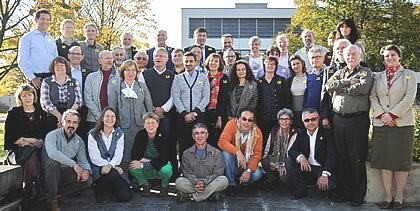 8th Annual Biocontrol Industry Meeting ABIM 2013, Congress Center Basel, Switzerland. The meeting was organised in cooperation by the International Biocontrol Manufacturers Association (IBMA) and the Research Institute of Organic Agriculture (FiBL). 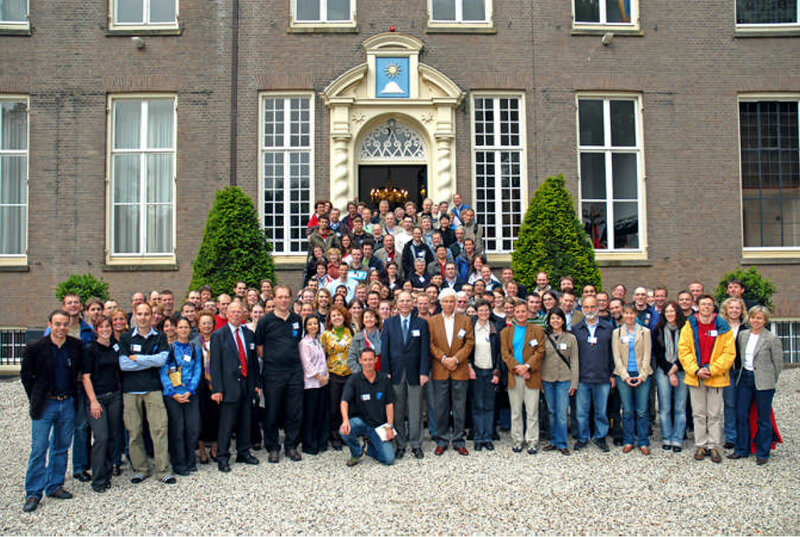 ABIM provides an annual meeting place specifically adapted to the needs of the biocontrol industry. 7th meeting of the IOBC-WPRS Working Group "Integrated Protection in Oak Forests", Avignon, France. IOBC-WPRS Working Group "Integrated Control in Oilseed Crops (ICOC)", Centre de Recherche Publique, Gabriel Lippmann, Esch/Belvaux, Luxembourg. Meeting of the "Slug and Snail" Sub Group within the IOBC-WPRS Working Group "Insect pathogens and Entomoparasitic Nematodes", "Terrestrial mollusc pests and invaders", Bergen, Norway. IOBC-WPRS Working Group "Integrated Protection of Field Vegetables", Bergerac, France. IOBC-WPRS Working Group "Insect Pathogens and Insect Parasitic Nematodes", Biological control – its unique role in organic and integrated production, Four Points by Sheraton Panorama Hotel, Zagreb, Croatia. 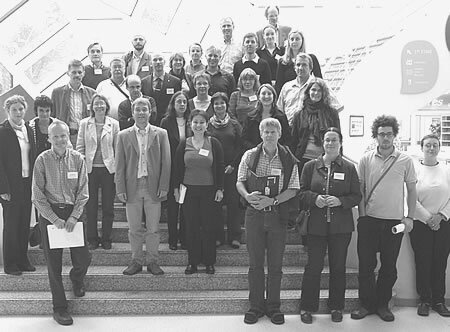 6th meeting on "Ecological Impact of Genetically Modified Organisms" (EIGMO) of the IOBC-WPRS Working Group "GMOs in Integrated Plant Production", Julius Kühn-Institut, Berlin, Germany. 6th meeting of the IOBC-WPRS Working Group "Integrated Protection of Olive Crops", Bečići, Budva, Montenegro. IOBC-WPRS Working Group on "Integrated Control in Citrus Fruit Crops", Çukurova University, Adana, Turkey. 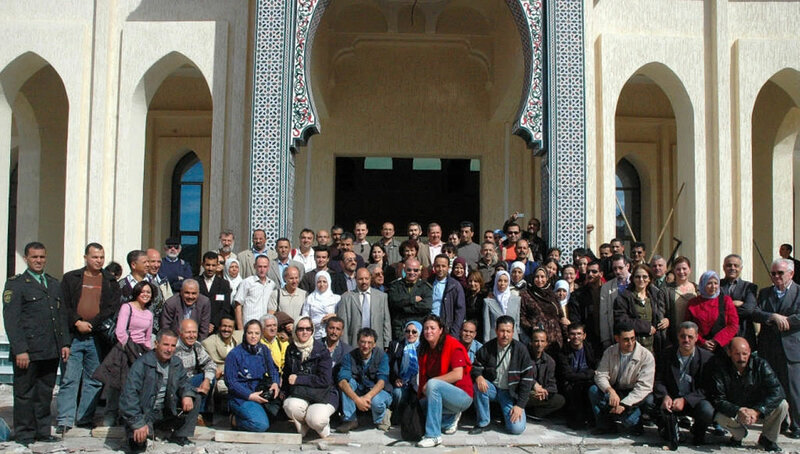 Regional Symposium on the management of fruit flies in Near East countries, Hammamet, Tunisia. IOBC-WPRS Working Group "Integrated Control in Protected Crops, Mediterranean Climate", University of Catania, Sicily, Italy. 8th International Conference on Integrated Fruit Production, Kusadasi District of Aydin Province, Turkey. IOBC-WPRS Working Group "Pheromones and other semio-chemicals in integrated production", Bursa, Turkey. "Biological Plant Protection as the Basis of Agricultural Ecosystem Stabilization Contemporary World Tendencies in Production and Application of Biological and Environmentally Safe Plant Protection Agents", Krasnodar, Russia. 24th International Congress of Entomology, Daegu, South Korea. 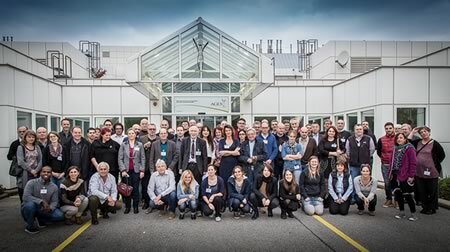 XII Meeting of IOBC-WPRS Working Group "Biological control of fungal and bacterial plant pathogens", Reims, France. Integrated Pest Management - the way forward to Sustainable Agricultural Production, Conference on reducing pesticide dependency, commemorating the 50 years anniversary of Rachel Carson's "The Silent Spring", Brussels, Belgium. 5th meeting of the IOBC-WPRS Working Group "Landscape management for functional biodiversity", University of Lleida, Spain. 2nd Meeting of the IOBC-WPRS Working Group "Benefits and Risks of Exotic Biological Control Agents", Hluboka, hotel Stekl, Czech Republic. Meeting of the Council and Convenors of IOBC-wprs, Florence, Italy. IOBC-WPRS Working Group "Integrated Control in Oilseed Crops”, University of Göttingen, Germany. IOBC-WPRS Working Group "Integrated Protection and Production in Viticulture", Lacanau, near Bordeaux. IOBC-WPRS Working Group "Integrated Protection in Field Vegetables", Bäckaskogs slott, Fjälkinge (Kristianstad), Sweden. 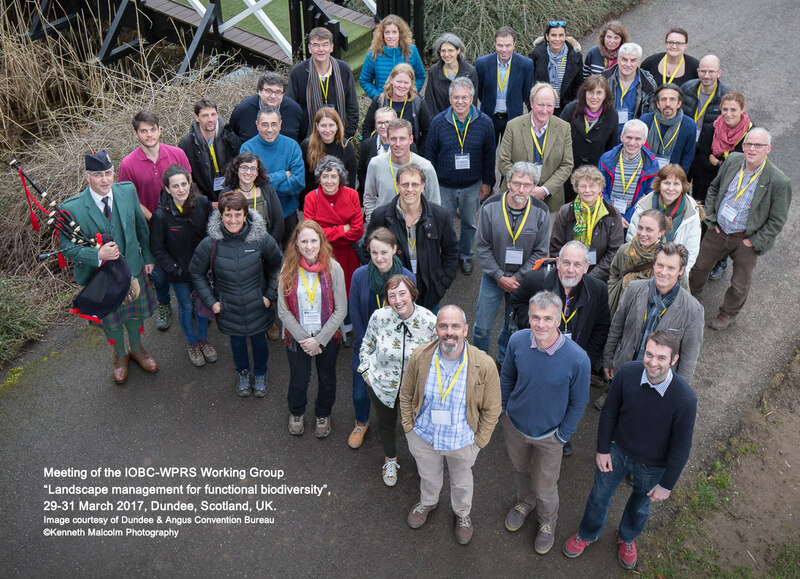 IOBC-WPRS Working Group "Integrated Control in Protected Crops, Temperate Climate”, Norton Park Hotel, Sutton Scotney, Nr Winchester, Hampshire, SO21 3NB, UK. 3rd meeting of the IOBC-WPRS Working Group "Integrated Control of Plant-Feeding Mites", Cesky Krumlov, Czech Republic. PR-Proteins and Induced Resistance Against Pathogens and Insects, Molecular Biology Meets Application. Joint meeting of the "PR-proteins Workshop" and the IOBC-WPRS Working Group "Induced Resistance in Plants Against Insects and Diseases", Neuchâtel, Switzerland. IOBC-WPRS Working Group "Integrated Protection of Fruit Crops", Sub Group "Pome Fruit Diseases". 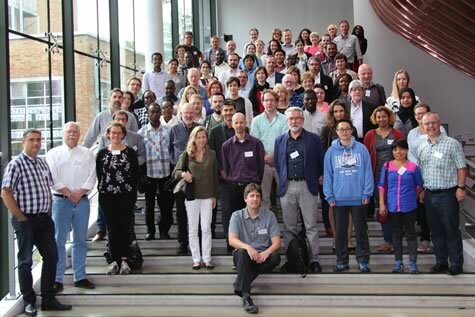 9th International IOBC-WPRS Workshop on Pome Fruit Diseases, Hasselt, Belgium. IOBC-WPRS Working Group "Integrated Protection of Stored Products", Volos, Greece. Ecological Impact of Genetically Modified Organisms (EIGMO), 5th meeting of the IOBC-WPRS Working Group "GMOs in Integrated Plant production", České Budějovice, Czech Republic. 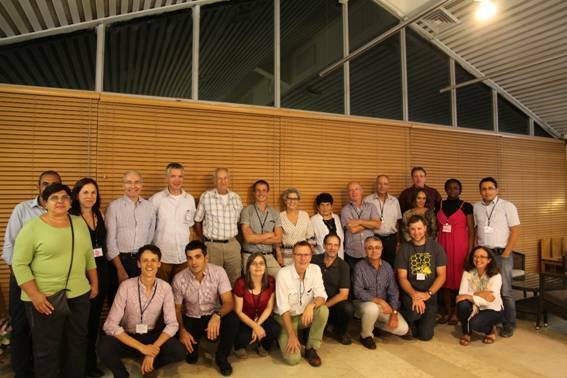 Second Entomophagous Insect Conference, Antibes, France. 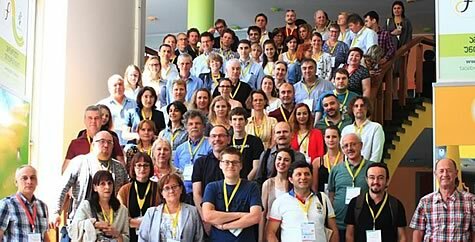 13th European Meeting of the IOBC-WPRS Working Group "Insect Pathogens and Entomoparasitic Nematodes", Innsbruck, Austria. 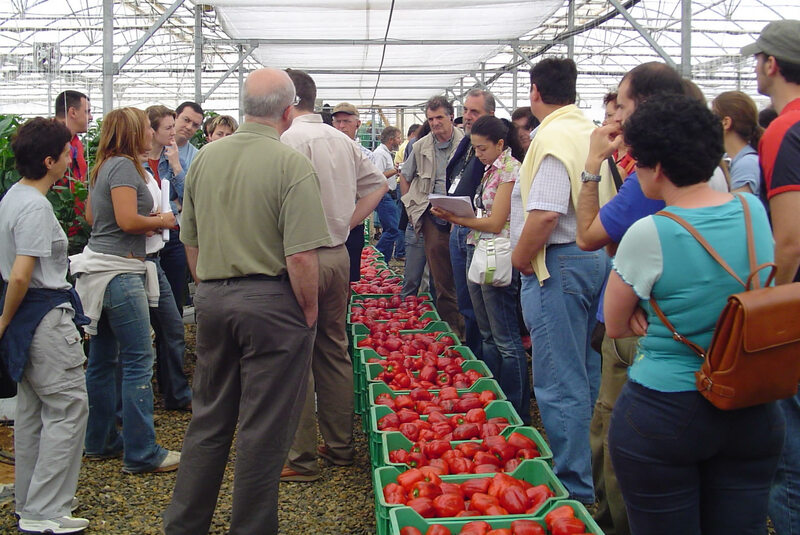 Three days Meeting: The subject of this meeting is "Biological Control in IPM Systems". 5th meeting of the IOBC-WPRS Working Group "Integrated Protection of Olive Crops", Jerusalem, Israel. Exchanges of Experiences in the Mass Production and Use of Biological Control Agents. 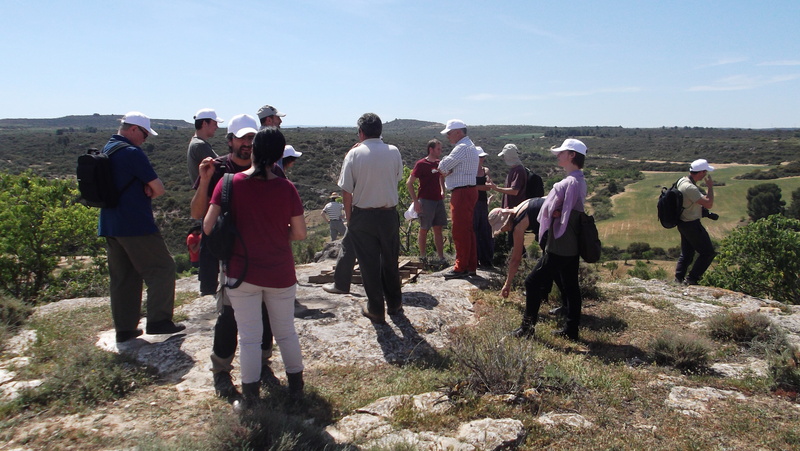 6th meeting of the IOBC-WPRS Working Group "Multitrophic Interactions in Soil", Córdoba, Spain. Workshop on "Design Considerations for Laboratory Studies on Non‐Target Arthropods for Risk Assessment of GM Plants", Centro Cultural Borges in the Galerias Pacifico, Buenos Aires, Argentina. 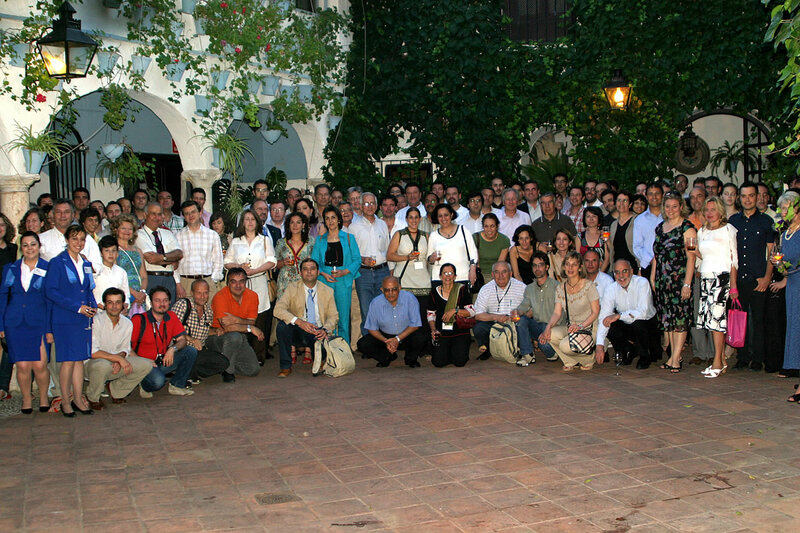 8th Symposium on Fruit Flies of Economic Importance (ISFFEI), Valencia, Spain. IOBC Working Group "Integrated Protection of Fruit Crops", Sub Group "Soft Fruits", Workshop on "Integrated Soft Fruit Production", 7th Meeting, Budapest, Hungary. 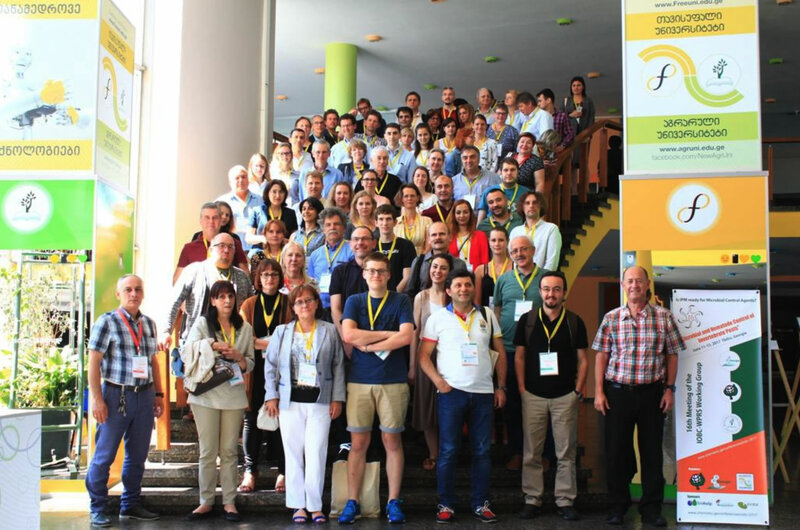 Joint meeting of the Study Groups "Pome fruit arthropods" and "Stone fruits", Workshop on "Sustainable protection of fruit crops in the Mediterranean area", Vico del Gargano, Italy. 28th International Horticultural Congress, 22-27 August, 2010. Lisbon, Portugal. Download: Presentations(restricted access for meeting participants). 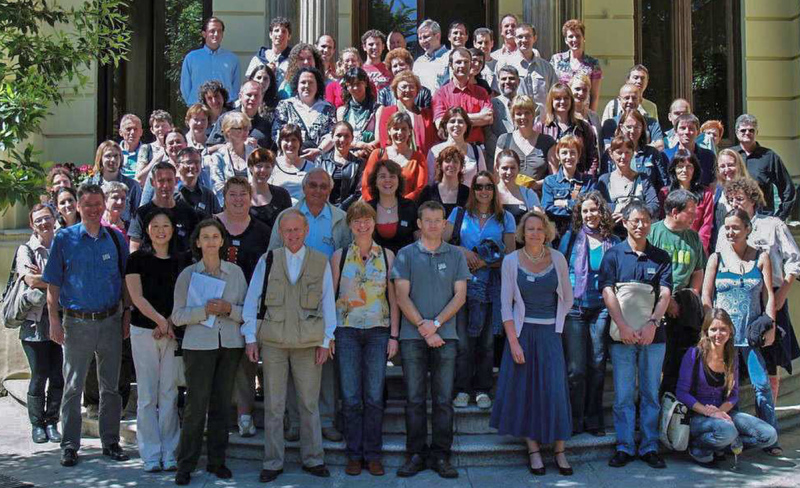 IOBC-WPRS Working Group "Biological control of fungal and bacterial plant pathogens", Graz, Austria. IOBC-WPRS Working Group on "Integrated Control in Citrus Fruit Crops", Agadir, Morocco. 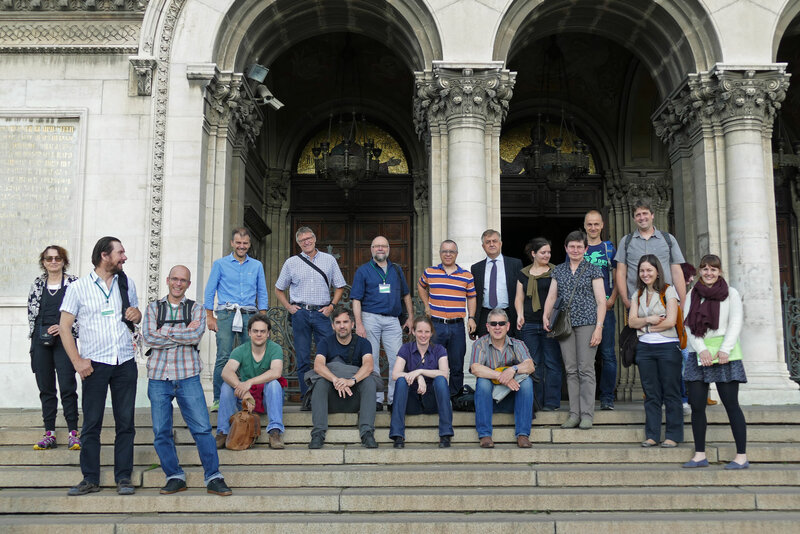 "Semio-chemicals without Borders", a joint conference of Working Groups "Pheromones and other semio-chemicals in integrated production" IOBC WPRS and "Selective Control Methods" of IOBC EPRS, Budapest, Hungary. 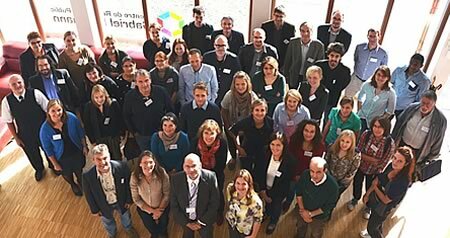 IOBC-WPRS Working Group “Integrated Protection and Production in Viticulture”, Staufen im Breisgau, Germany. 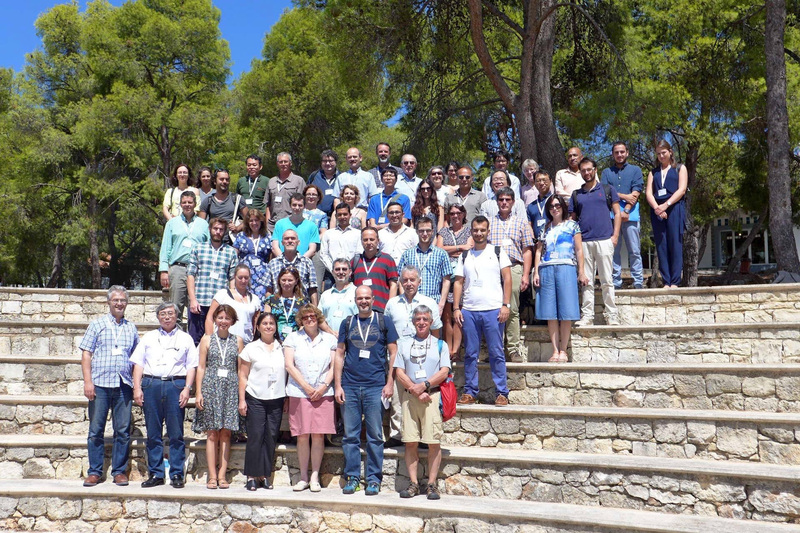 IOBC-WPRS Working Group "Pesticides and Beneficial Organisms", Dubrovnik, Croatia. IOBC-WPRS Working Group "Integrated Protection of Field Vegetable Crops", Dubrovnik, Croatia. 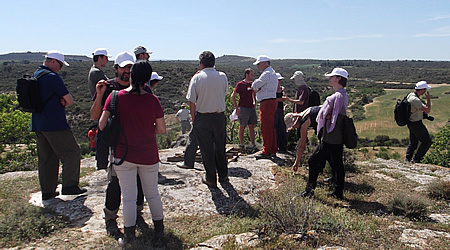 IOBC-WPRS Working Group "Integrated Control in Protected Crops, Mediterranean Climate", Mediterranean Agronomic Institute of Chania (MAICh), Crete, Greece. 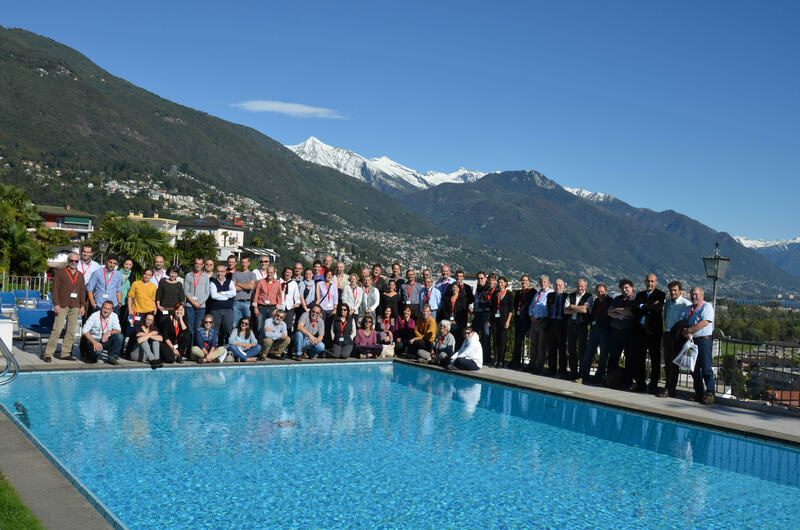 IOBC-WPRS Study Group "Benefits and risks associated with exotic biological control agents", Engelberg, Switzerland. IOBC-WPRS Working Group on “Integrated Protection of Stored Products”, Molise, Campobasso, Italy. 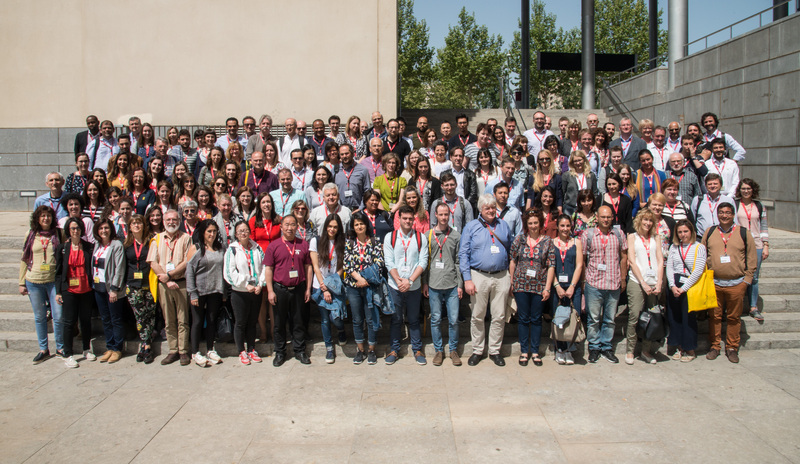 IOBC-WPRS Working Group "Insect Pathogens and Insect Parasitic Nematodes", "Sub Group Slugs and Snails" and Cost Action 862 "Bacterial Toxins for Insect Control", Pamplona, Spain. IOBC-WPRS Working Group "Multitrophic Interactions in Soil", Uppsala, Sweden. 4th Meeting of the IOBC-WPRS Working Group "Integrated Protection of Olive Crops", Córdoba, Spain. 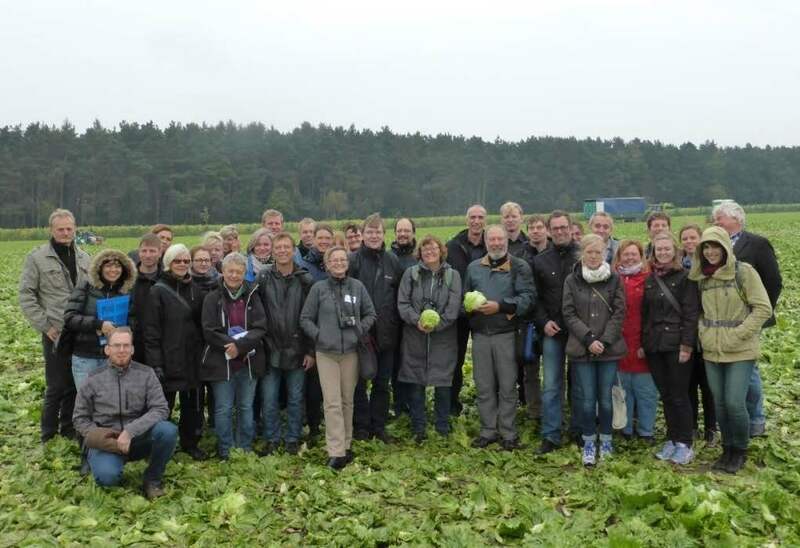 Ecological Impact of Genetically Modified Organisms (EIGMO), 4th meeting of the IOBC-WPRS Working Group "GMOs in Integrated Plant Production"; Rostock, Germany. 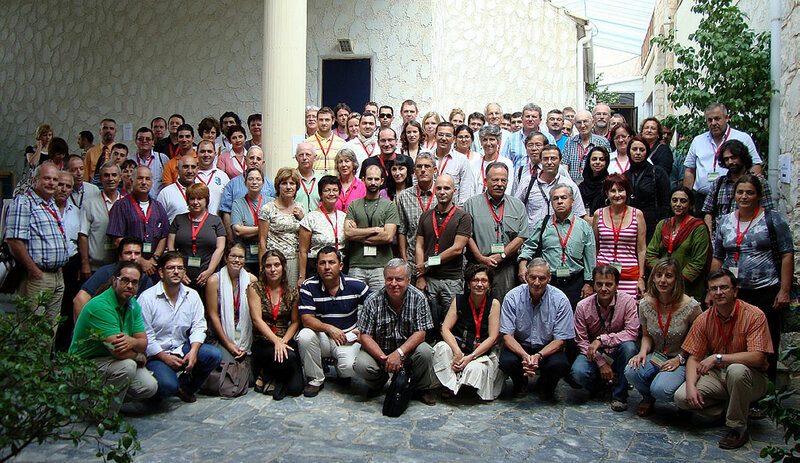 IOBC-WPRS Working Group "Induced Resistance in Plants against Insects and Diseases", Granada, Spain. 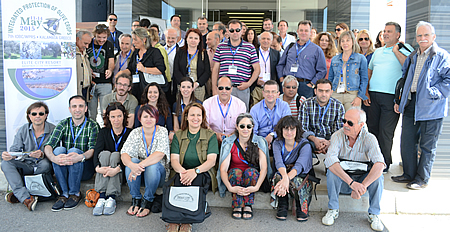 3rd Workshop of the EWRS (European Weed Research Society) Working Group "Weeds and Biodiversity", Lleida, Spain. 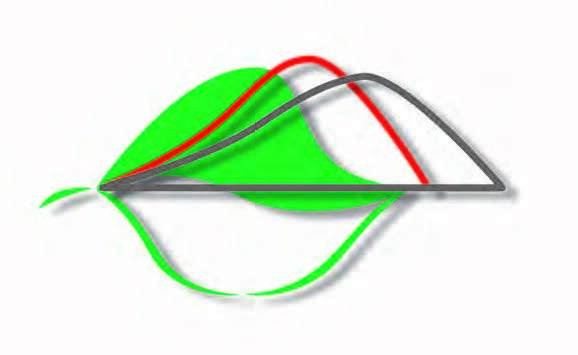 IOBC-WPRS Working Group "Integrated Control of Plant-feeding Mites", Centro per I'Agrobiologia e la Pedologia, Experimental Institute for Agricultural Zoology (ISZA), Firenze, Italy. 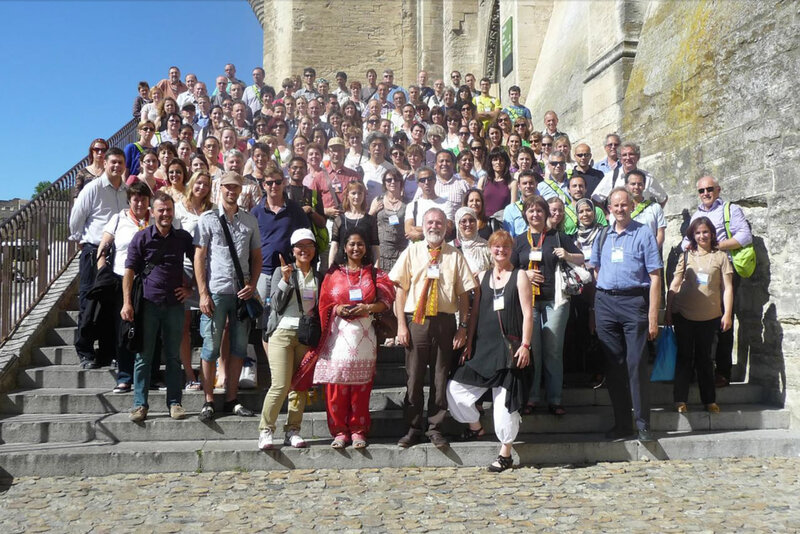 IOBC-WPRS Working Group "Integrated Plant Protection in Fruit Crops", 7th International Conference on Integrated Fruit Production, Avignon, France. IOBC-WPRS Working Group "Integrated Control in Oilseed Crops", FIAP Centre Jean Monnet in Paris, France. 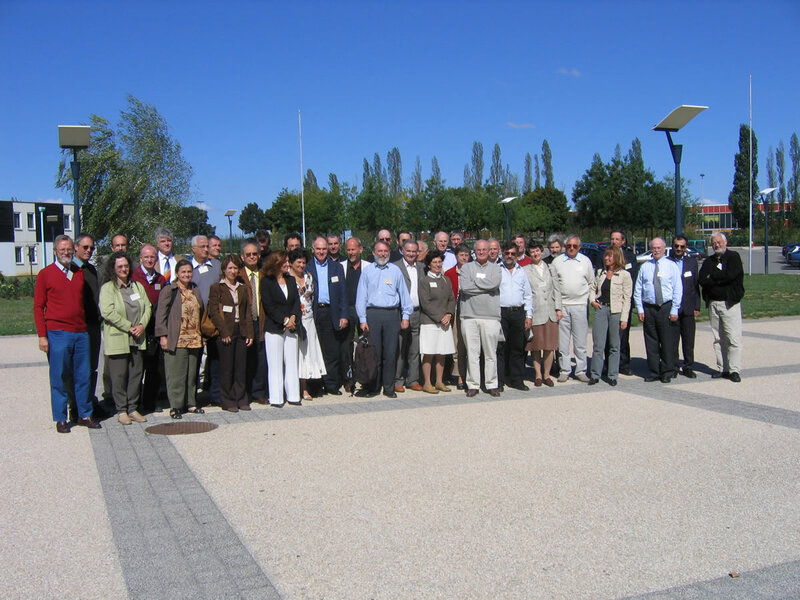 IOBC-WPRS Working Group "Landscape management for functional biodiversity", ENITAB, Bordeaux, France. IOBC-WPRS Working Group "Integrated Control in Protected Crops, Temperate Climate", Sint Michielsgestel, The Netherlands. Joint meeting for IOBC-WPRS Council and Convenors, Barcelona (Spain). Meeting of the IOBC-WPRS Working Group “Integrated Control in Citrus Fruit Crops", Catania, Italy. Maintaining Worldwide Connections for Quality Assurance in Arthropod and Nematode Rearing, Montreal, Canada. Meeting of the IOBC-WPRS Working Group "Integrated Control in Viticulture", Marsala, Sicily, Italy. 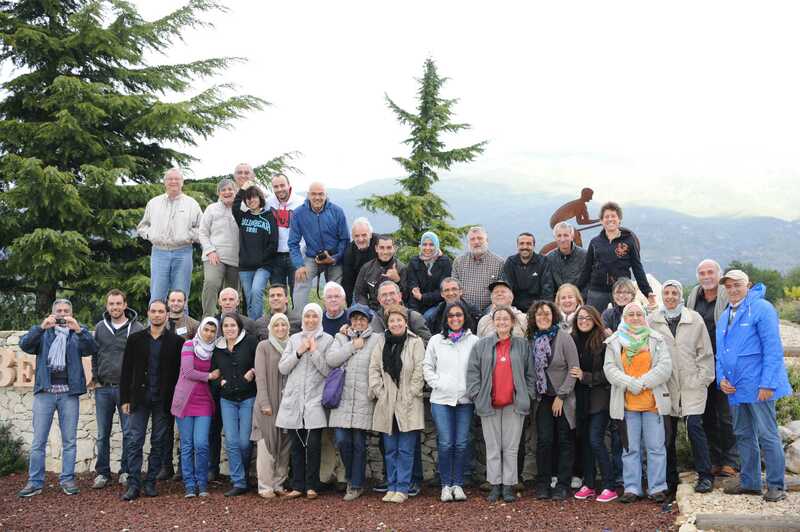 5th Meeting of the IOBC-WPRS Working Group “Integrated Protection in Oak Forests", Tlemcen, Algeria. 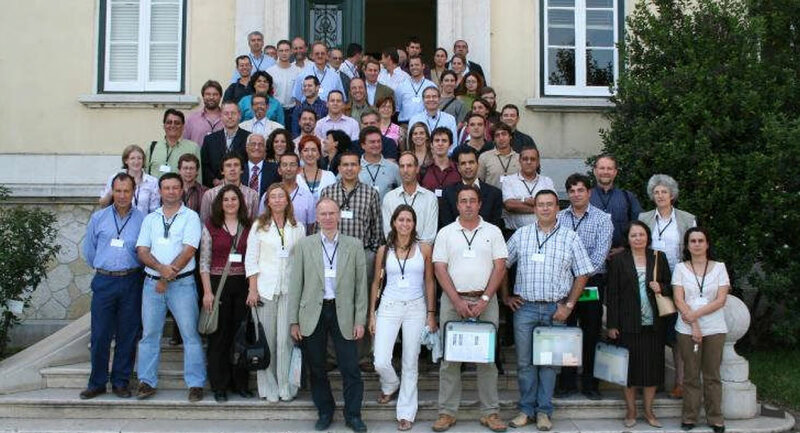 3rd Meeting of the IOBC-WPRS Working Group "Integrated Protection of Olives Crops", Braganca, Portugal. 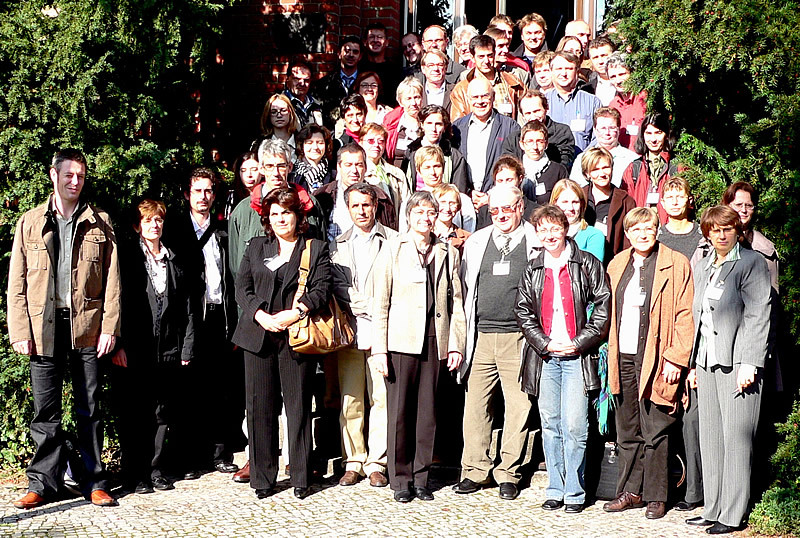 Meeting of the IOBC-WPRS Working Group “Pesticides and Beneficial Organisms”, Berlin, Germany. IOBC Working Group "Integrated Plant Protection in Fruit Crops", Sub Group "Soft Fruits", 6th Meeting at East Malling Research, Kent, UK. IOBC-WPRS Working Group "Integrated protection of field vegetables", Porto, Portugal. “Carl Linnaeus – 30 Years”. Meeting of the IOBC-WPRS Working Group “Pheromones and other Semiochemicals”, Lund, Sweden. IOBC-WPRS Working Group "Integrated Protection of Stored Products", Poznań, Poland. 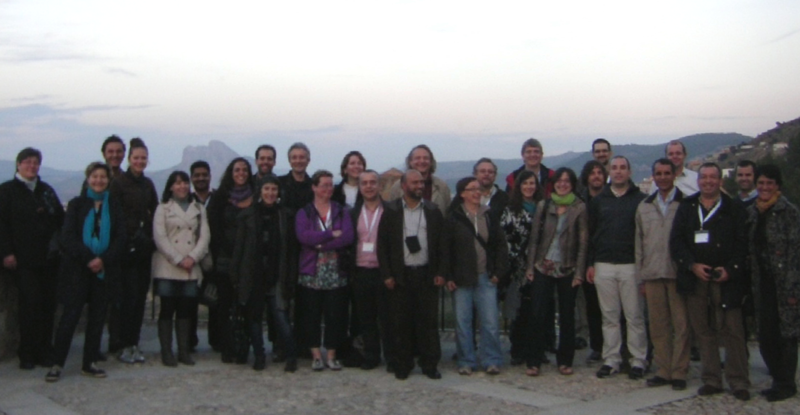 11th European Meeting of the IOBC-WPRS Working Group "Insect Pathogens and Insect Parasitic Nematodes", Alès, France. 4th Meeting of the IOBC-WPRS Working Group "Multitrophic Interactions in Soil", Dijon, France. 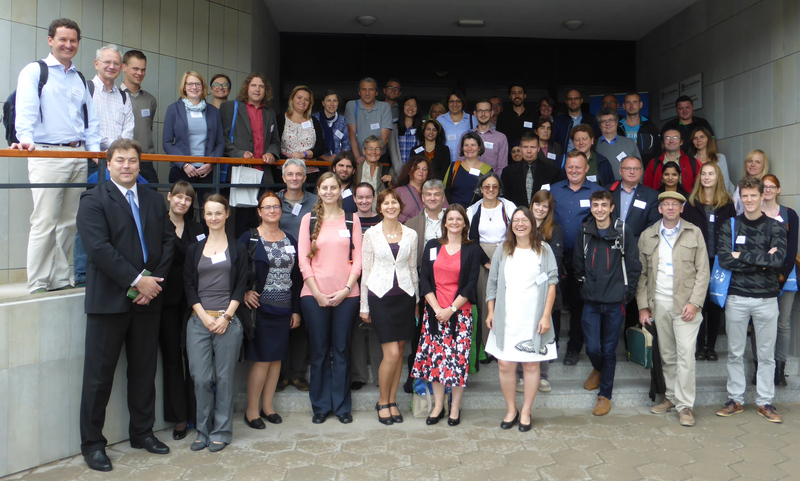 IOBC-WPRS Working Group "GMOs in Integrated Plant Production", Warsaw, Poland. Meeting of the IOBC-WPRS Executive Committee, Vienna, Austria. 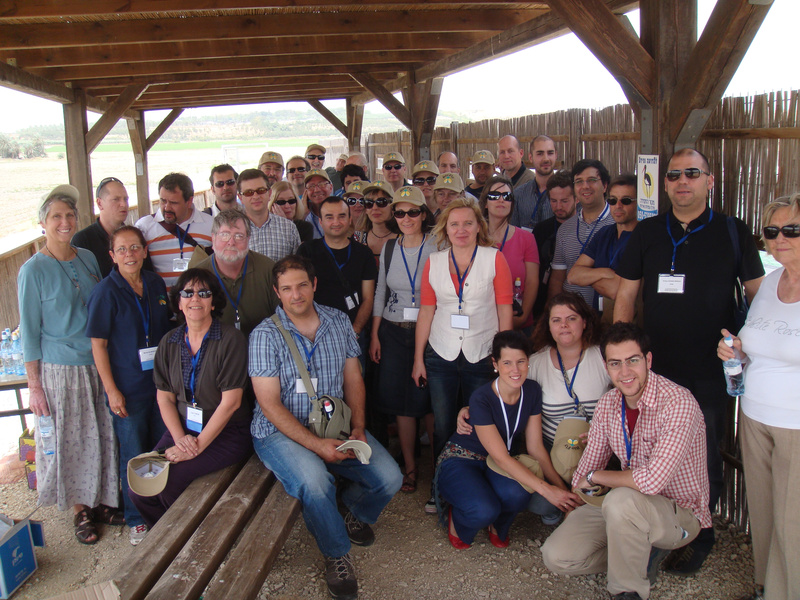 1st Meeting of the IOBC-WPRS Study Group "Integrated Control of Plant Feeding Mites", Jerusalem, Israel. 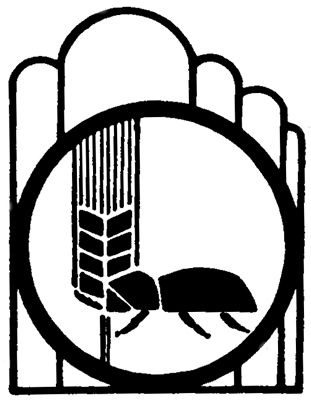 5th meeting of the sub-group "Soil Insect Pests" (previously: Sub-Group "Melolontha") of the IOBC-WPRS Working Group "Entomopathogens and entomoparasitic Nematodes", Research Centre for Agriculture and Forestry, Laimburg, 39040 Auer/Ora Italy. Meeting of the IOBC-WPRS Working Group "Integrated Plant Protection in Fruit Crops – Sub-Group Stone Fruits", "Workshop on Integrated Stone Fruit Production", Bellegarde (France) Centre Ctifl Balandran. 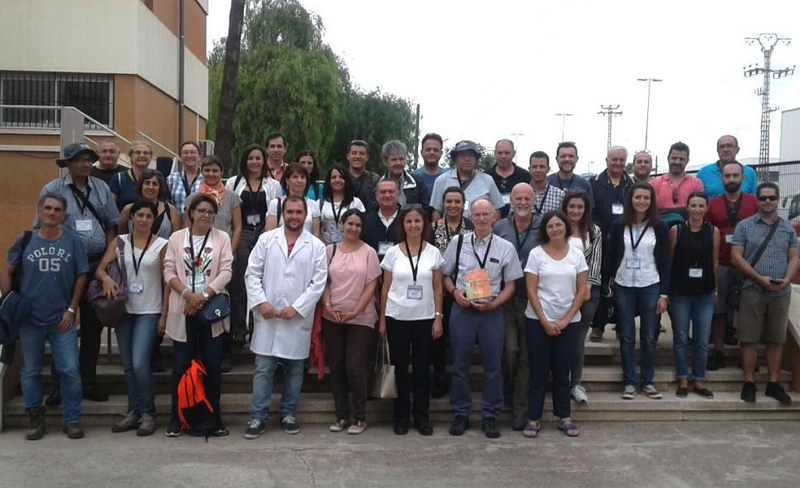 Meeting of the IOBC-WPRS Working Group "Integrated plant protection of fruit crops", Subgroup "Arthropod Pests of Pome Fruits": "Arthropod pest problems in pome fruit production", Lleida, Spain. 2nd Meeting of the IOBC-WPRS Working Group "Landscape management for functional biodiversity", Agroscope-FAL, Zürich Reckenholz, Switzerland. 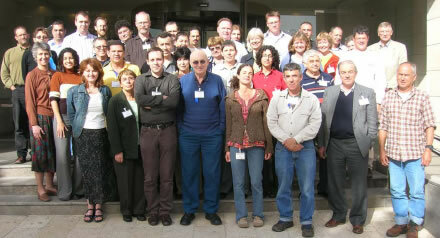 IOBC-WPRS Working Group "Integrated Control in Protected Crops, Mediterranean Climate", Murcia, Spain. Breeding for inducible resistance against pests and diseases. 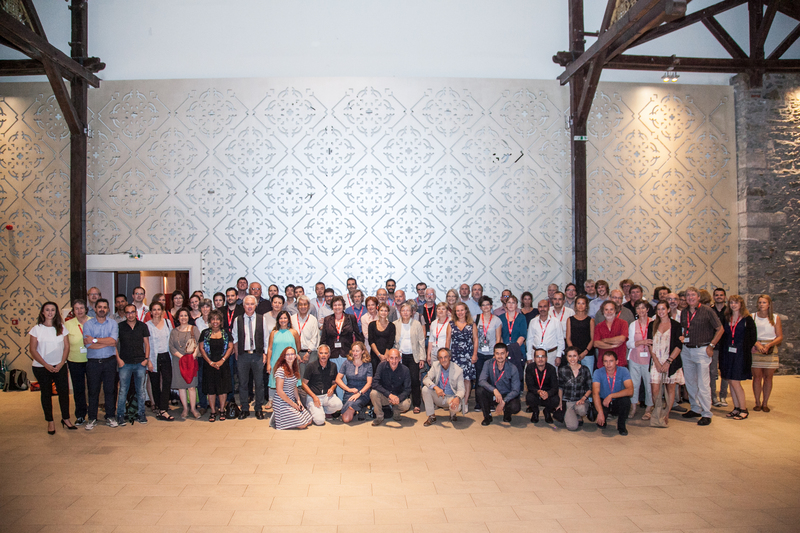 Joint Meeting of the IOBC-WPRS WGs "Breeding for resistance against insects and diseases" and "Induced resistance in plants against insects and diseases", Heraklio, Crete, Greece. Third International Conference on IPM Role in Integrated Crop Management and Impacts on Environment & Agricultural Products, at Plant Protection Research Institute, Agricultural Research Center, Ministry of Agriculture Land Reclamation, Giza, Egypt. IOBC-WPRS Working Group "Integrated protection in viticulture", in the area of Brescia, Italy. IOBC-WPRS Working Group "Integrated Protection of Olive Crops", Florence, Italy. IOBC-WPRS Working Group "Integrated Protection and Production in Viticulture", Darfo Boario Terme, Brescia, Italy. 5th Meeting of the IOBC-WPRS Working Group "Integrated Plant Protection in Fruit Crops  Sub-Group Soft Fruits", "Workshop on Integrated Soft Fruit Production", Stavanger, Norway. 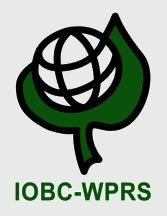 IOBC-WPRS Working Group "Integrated control in Field Vegetable Crops", Ljubljana, Slovenia. 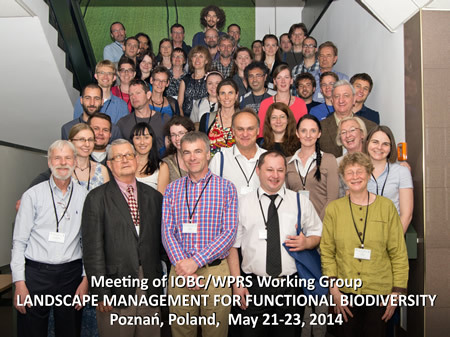 IOBC-WPRS Working Group "Pesticides and Beneficial Organisms", Dębe near Warsaw, Poland. 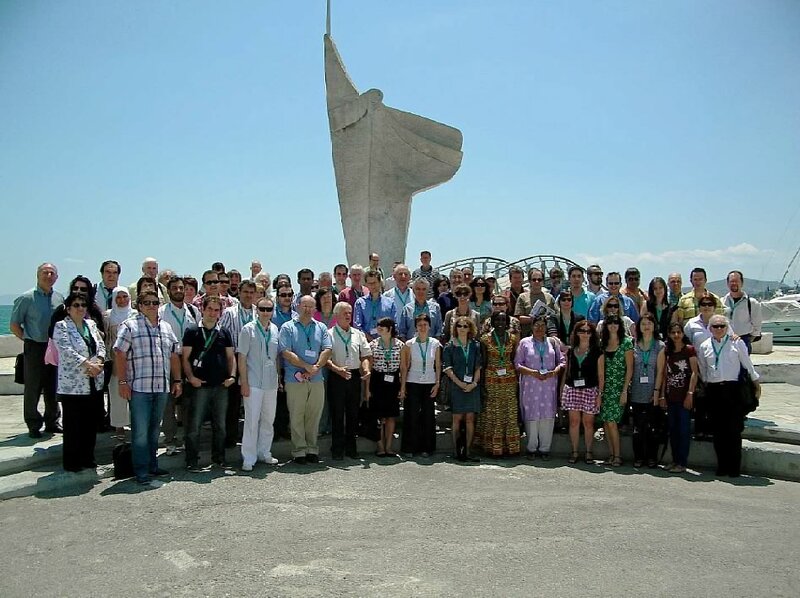 IOBC-WPRS Working Group "Integrated Control in Citrus Fruit Crops", Lisbon, Portugal. IOBC-WPRS Working Group "Integrated Protection of Stored Products", Prague, Czech Republic. IOBC-WPRS General Assembly "Fifty Years of IOBC in Western Europe and the Mediterranean", Dijon, France. 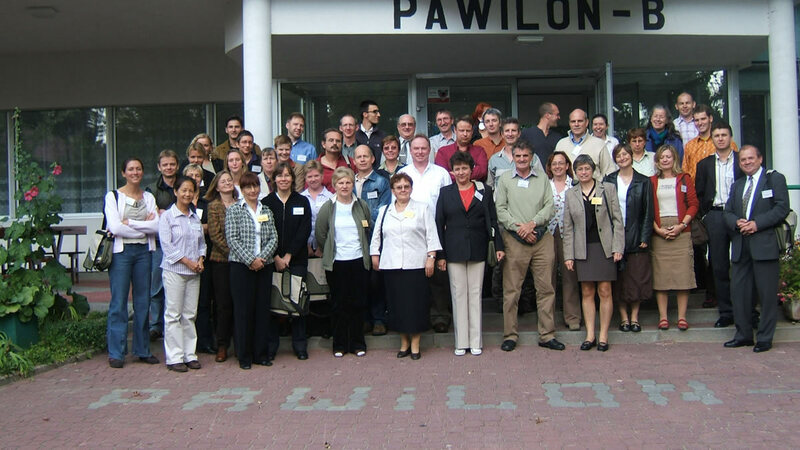 20.09.2005: 50 years of IOBC; Colloquium "From chemical control to integrated production with biological control"
Workshop on Pests and Weeds Control in Sustainable Fruit Production, Skierniewice , Poland. 7th International IOBC-WPRS Workshop on Orchard Diseases, Università Cattolica, Piacenza, Italy. 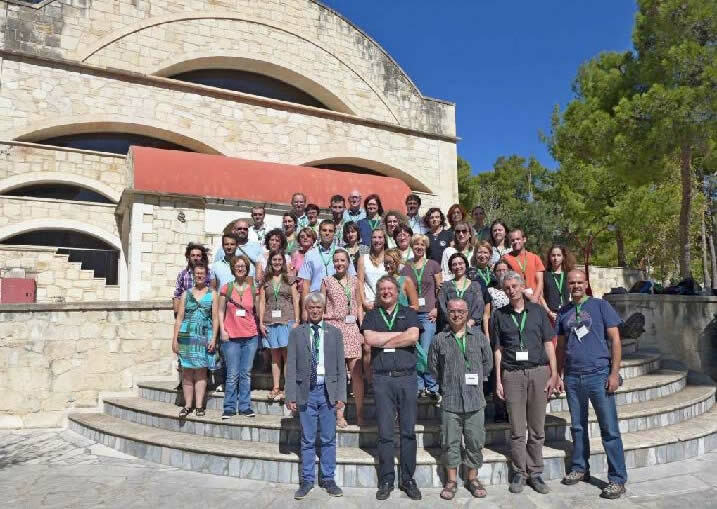 10th European Meeting of the IOBC-WPRS Working Group "Insect Pathogens and Insect Parasitic Nematodes" in cooperation with the COST Actions 842 "Entomophthorales" and 850 "Biocontrol Symbiosis", Locorotondo, Bari, Italy. 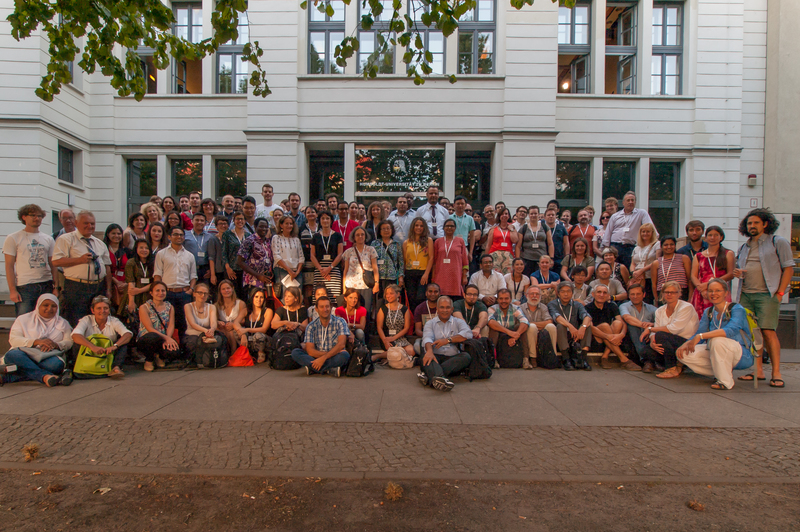 1st International Conference of Plant Protection and Plant Health in Europe "Introduction and Spread of Invasive Species", Berlin, Humboldt University, Germany. 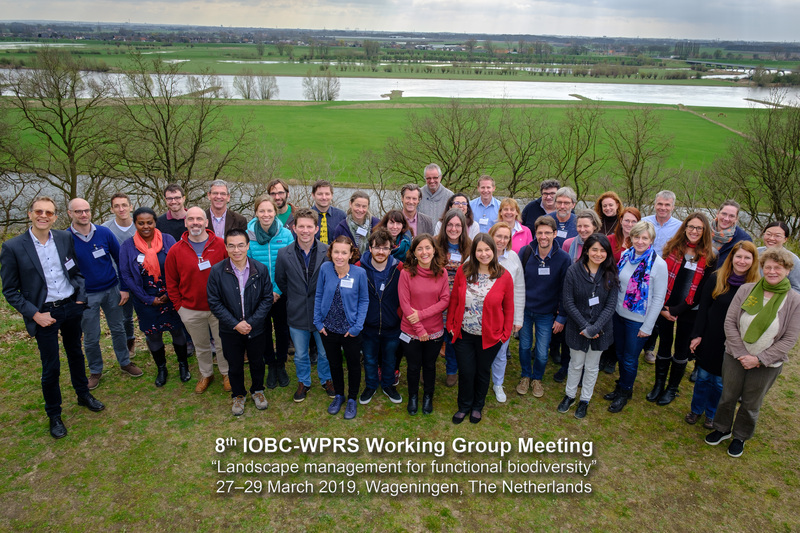 IOBC-WPRS Working Group "Multitrophic Interactions in soil", Wageningen, The Netherlands. IOBC-WPRS Working Group "GMOs in Integrated Production": "Ecological Impact of Genetically Modified Organisms", Lleida, Spain. First meeting of th IOBC Neartic Regional Section and the Biocontrol Network of Canada, Fifty Years IOBC in the New World, Magog-Orford, Quebec, East of Montreal. IOBC-WPRS Working Group "Integrated Control in Protected Crops, Temperate Climate", Naantali, Finland. 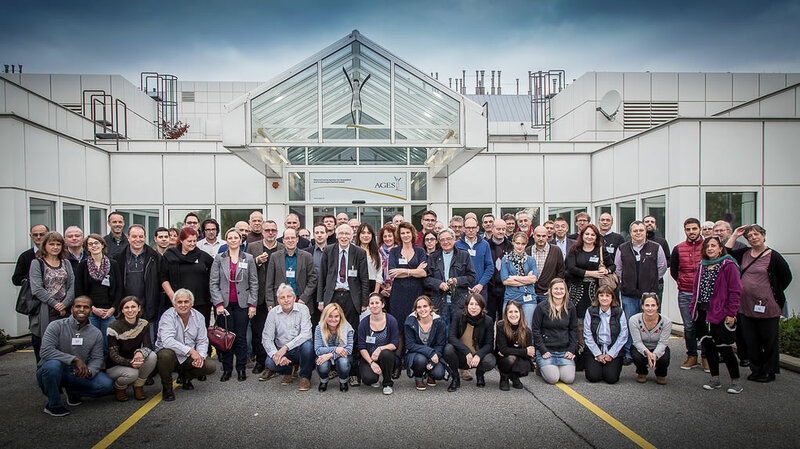 IOBC-WPRS Working Group "Induced resistance in plants against insects and diseases", workshop dedicated to methods in research on induced resistance, Delémont, Switzerland. IOBC-WPRS Working Group "Entomopathogens and Entomoparasitic Nematodes", Sub Group Slugs and Snails, Stuttgart, Germany. 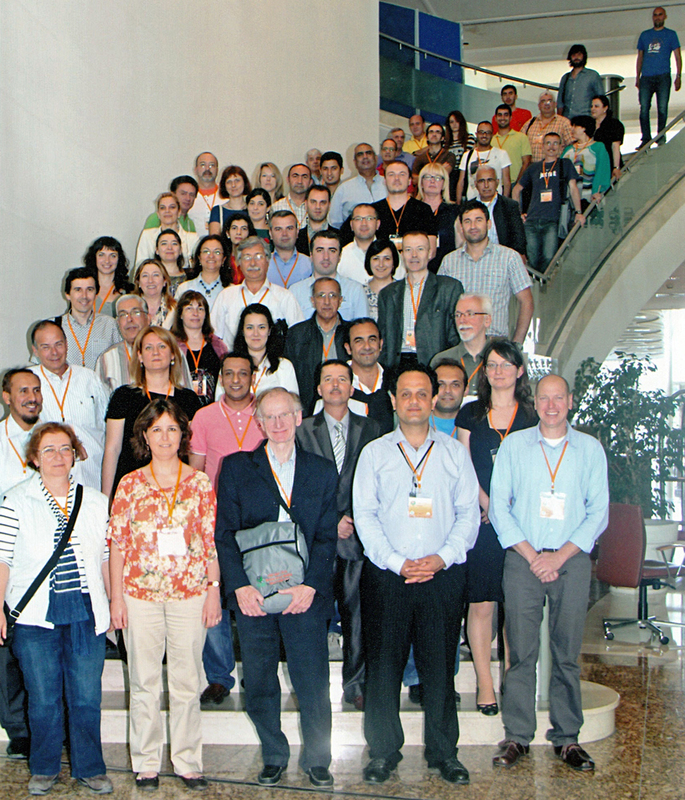 13th Botrytis Symposium, Antalya (Turkey). IOBC-WPRS Working Group “Integrated Control in Oilseed Crops”, Poznań, Poland. IOBC-WPRS Working Group "Entomopathogens and Entomoparasitic Nematodes", Sub Group Melolontha, Innsbruck, Austria. IOBC-WPRS Working Group "Integrated Protection in Oak Forests", 4th Meeting, Hammamet, Tunisie. Download: Report (pdf). 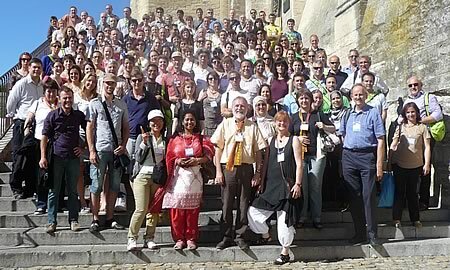 8th International Symposium on the Biosafety of GMOs, Montpellier, France. 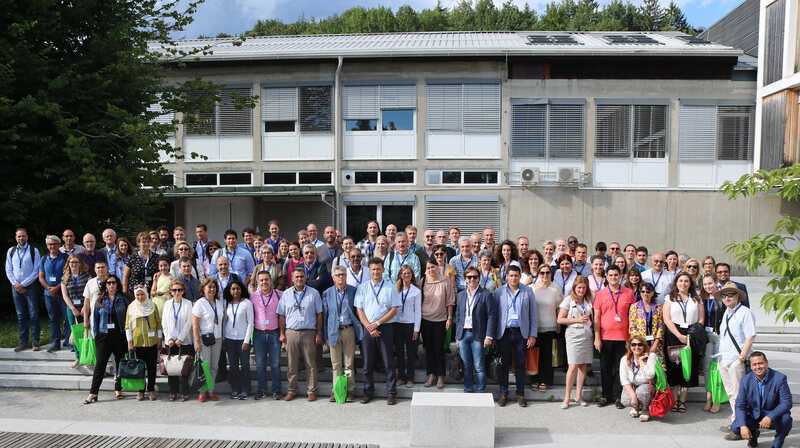 IOBC-WPRS Working Groups "Integrated Plant Protection in Fruit Crops" and "Pheromones and other semio-chemicals in integrated production", Baselga de Piné, Trento, Italy. 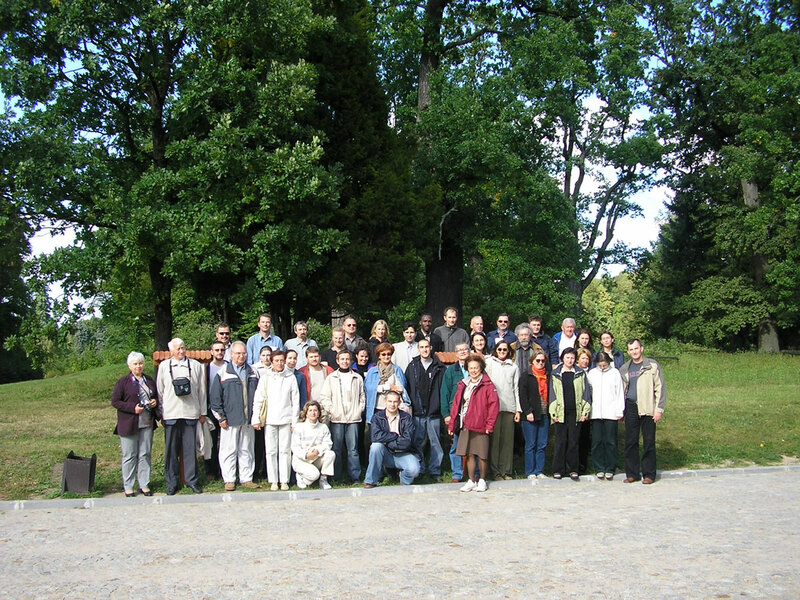 IOBC-WPRS Working Group "Breeding for Plant Resistance to Pests and Diseases", Bialowieza, Poland. 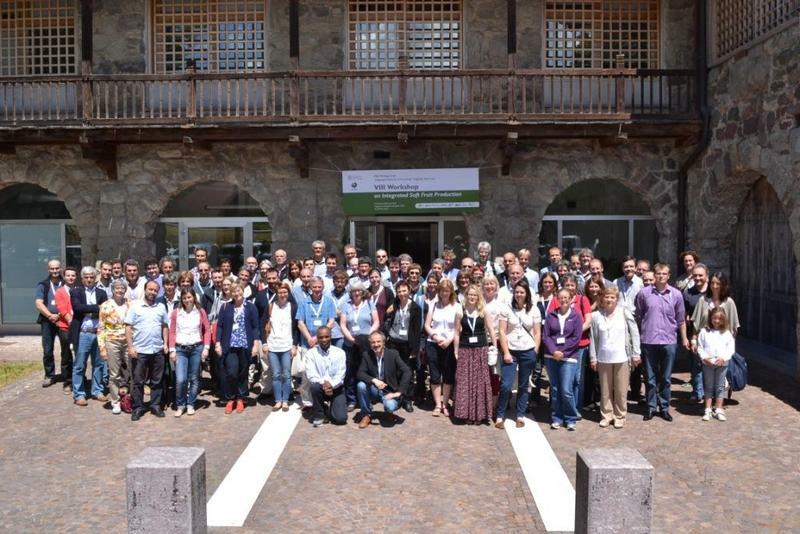 IOBC-WPRS Working Groups Meeting on: "Management of plant diseases and arthropod pests by BCAs and their integration in greenhouses systems", San Michele, Trentino, Italy. 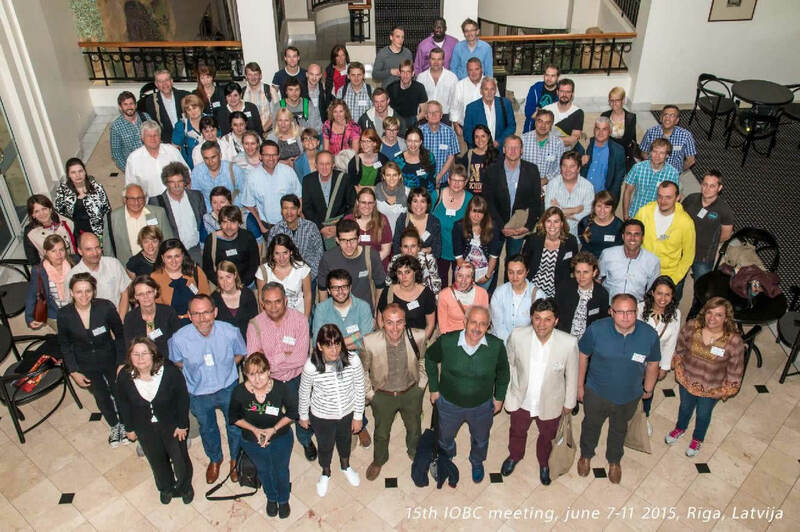 IOBC-WPRS Woking Group "Integrated Control in Protected Crops, Mediterranean Climate": Meeting of the W.G. in Agadir, Morocco. 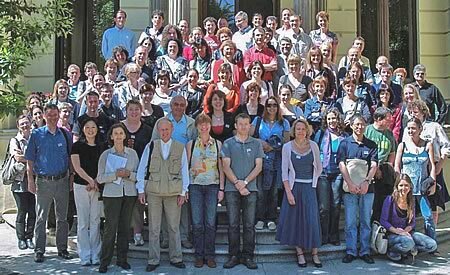 IOBC-WPRS Woking Group "Ecological Impact of Genetically Modified Organisms", 1st Meeting, Prague, Czech Republic. 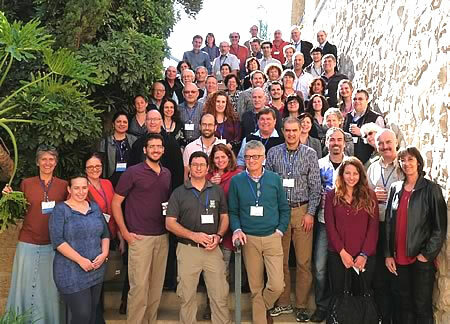 3rd International Workshop on Entomopathogenic Nematodes and their Bacterial Symbionts "New Paradigms for Insecticidal Nematodes", Eilat, Israel. 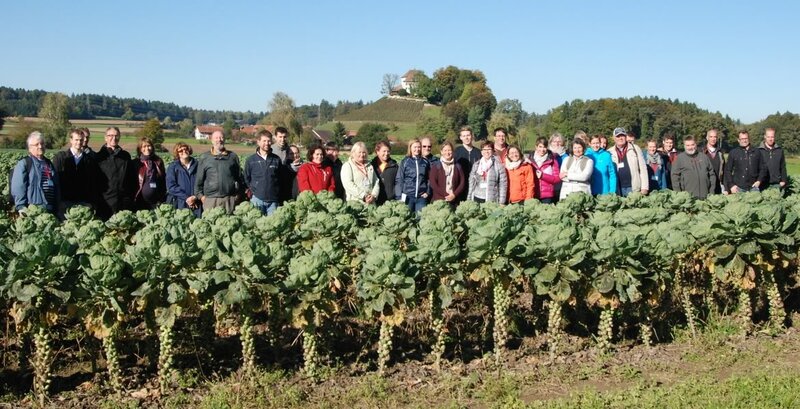 IOBC-WPRS Woking Group "Integrated Plant Protection in Fruit Crops; Sub-group Soft Fruits": Workshop on Integrated Pest and Disease Management in Soft Fruit Crops, Centre d'arboriculture et d'horticulture des Fougeres, CH-1964 Conthey, Switzerland. IOBC-WPRS Working Group "Integrated Protection in Field Vegetables", Deinze, Belgium. 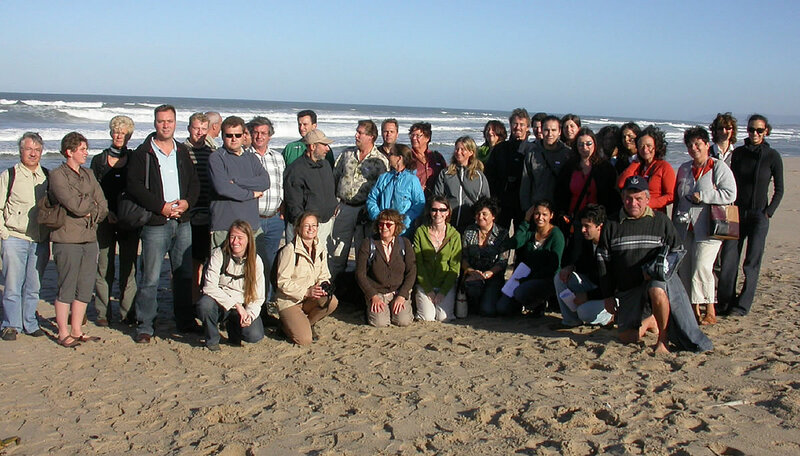 IOBC Working Group "Pesticides and Beneficial Organisms": Annual Meeting, Ponte de Lima in Portugal, Dep. Ciéncias da Planta e do Ambienta, Escola Superior Agrária de Ponte de Lima, Convento do Refóios, Ponte de Lima, Portugal. IOBC-WPRS Working Group "Integrated protection of stored products", Kusadasi, Turkey. IOBC-WPRS Woking Group: "Multitrophic interactions in soil for integrated plant protection", The Physikzentrum, Bonn-Bad Honnef, Germany. 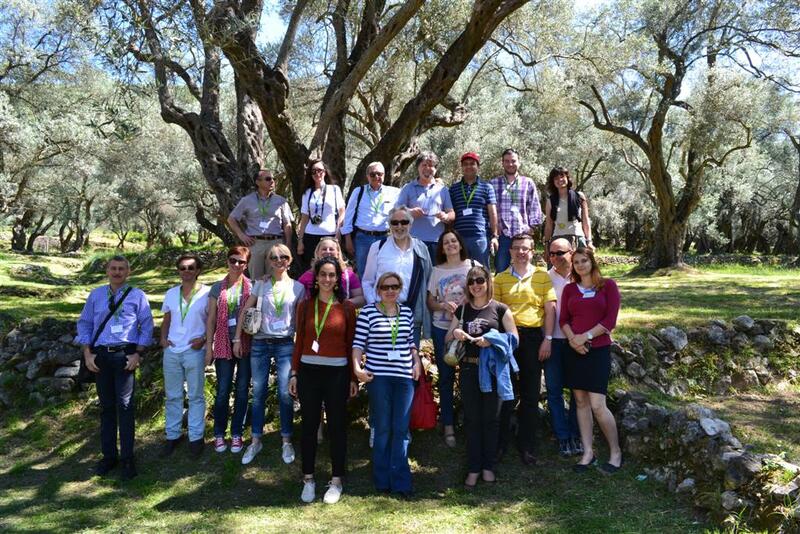 1st Meeting of the IOBC-WPRS Study Group "Integrated Protection of Olive Crops", Maich-Chania, Crete, Greece. 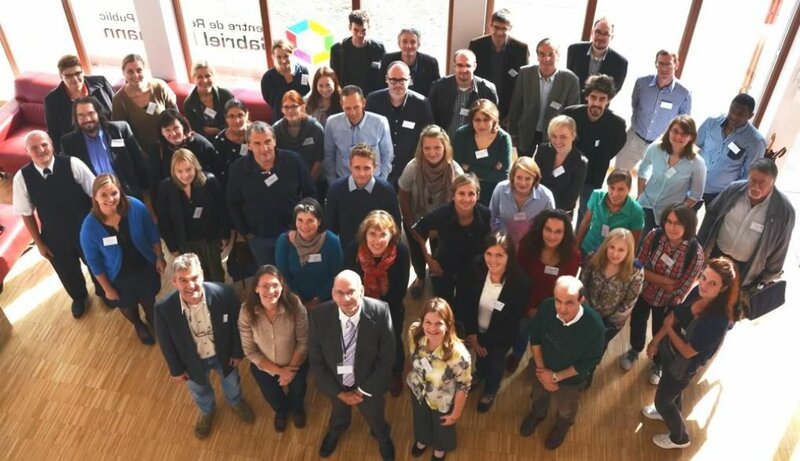 Meeting of the IOBC-WPRS Working Group "Insect Pathogens and Insect Parasitic Nematodes" entitled "Growing Biocontrol Markets Challenge R+D", Schoss Salzau, Kiel, Germany. 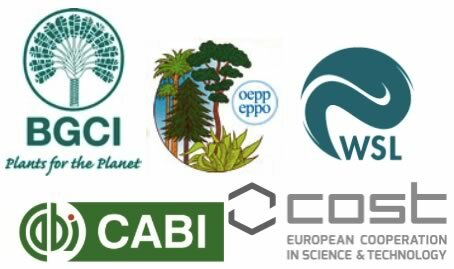 1st Meeting of the IOBC-WPRS Study Group"Landscape management for functional biodiversity", Bologna, Italy. European Meeting of the IOBC-WPRS Woking Group "Integrated Control in Viticulture", Volos, Greece. 8th International Congress of Plant Pathology, Christchurch, New Zealand. 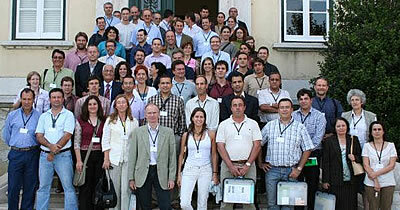 Meeting of the IOBC-WPRS Study Group "Integrated Control in Citrus Fruit Crops", Valencia, Spain. 9th Meeting of the Diabrotica Subgroup of IWGO, Belgrade, Yugoslavia. Meeting of the IOBC-WPRS Working Group "Integrated Plant Protection in Stone Fruit" Biennial Meeting in Opatija, Croatia. 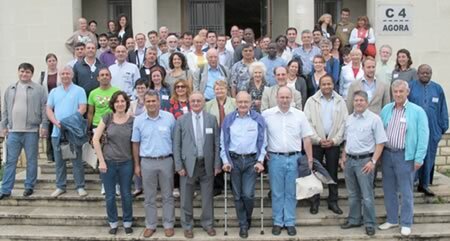 Annual Meeting of the IOBC-WPRS Working Group "Pesticides and Beneficial Organisms", Avignon, France. 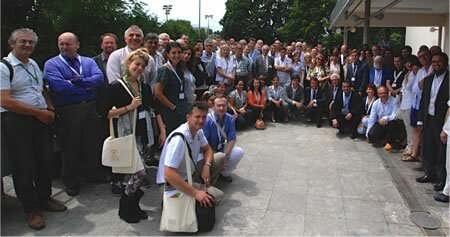 6th International Conference on Pseudomonas syringae Pathovars and Related Pathogens, Maratea, PZ, Italy. 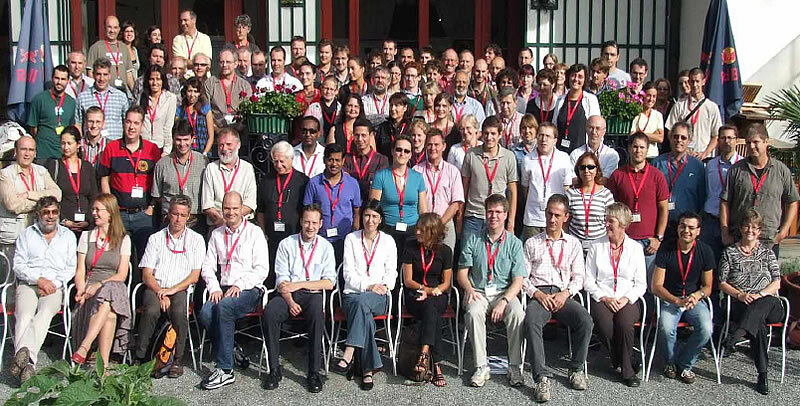 6th International IOBC-WPRS Workshop of Pome Fruit Diseases, Lindau/Bodensee, Germany. 7th International Mycological Congress, Oslo, Norway. 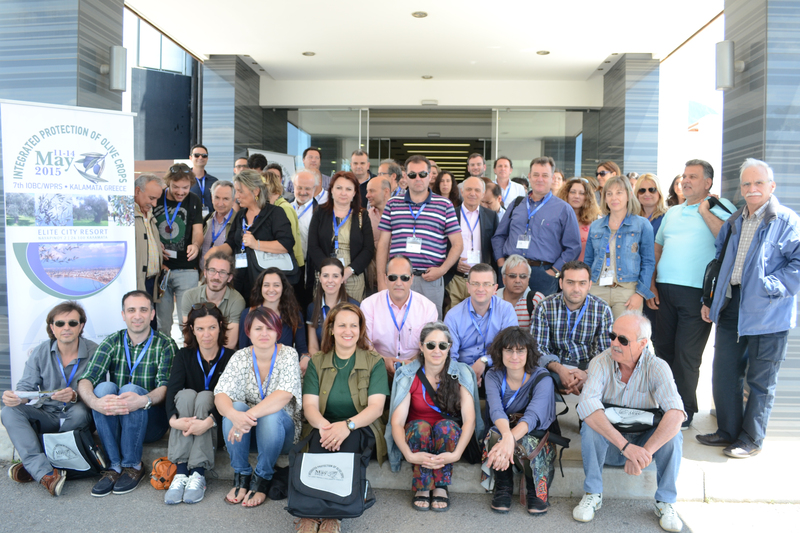 7th Meeting of the IOBC-WPRS Working Group "Biological Control of Fungal and Bacterial Plant Pathogens": Influence of Abiotic and Biotic Factrors on Biocontrol Agents, Kusadasi, Turkey. IOBC-WPRS Working Group "Integrated Control in Protected Crops, Temperate Climate"; "Integrated control in Glasshouses", a joint meeting between WPRS and NRS Greenhouse Working Groups, Victoria, British Columbia, Canada. 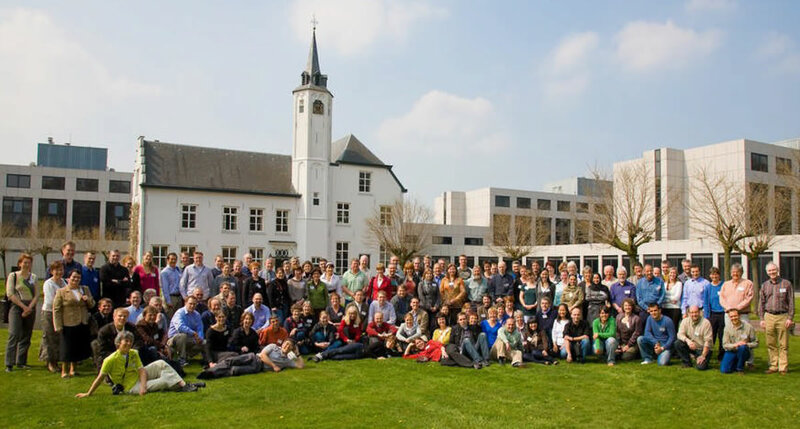 IOBC-WPRS Study Group "Induced resistance in plants against insects and diseases", Wageningen, The Netherlands. IOBC-WPRS Working Group "Integrated Plant Protection in Orchards", Workshop on Arthropod Pest Problems in Pome Fruit Production, Vienna, Austria. 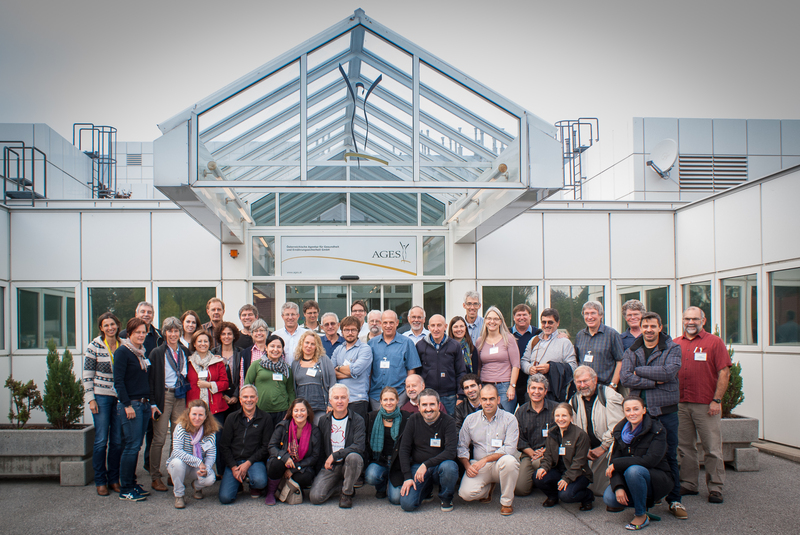 9th meeting IOBC-WPRS Working Group "Breeding for Resistance to Insects and Mites", Röstånga, southern Sweden. Meeting of the IOBC-WPRS Working Group "Integrated Control in Field Vegetables", Krakow Agricultural University, Poland. Meeting of the IOBC-WPRS Working Group "Pesticides and Beneficial Organisms", Istituto Agrario San Michele, San Michele, Trento, Italy. 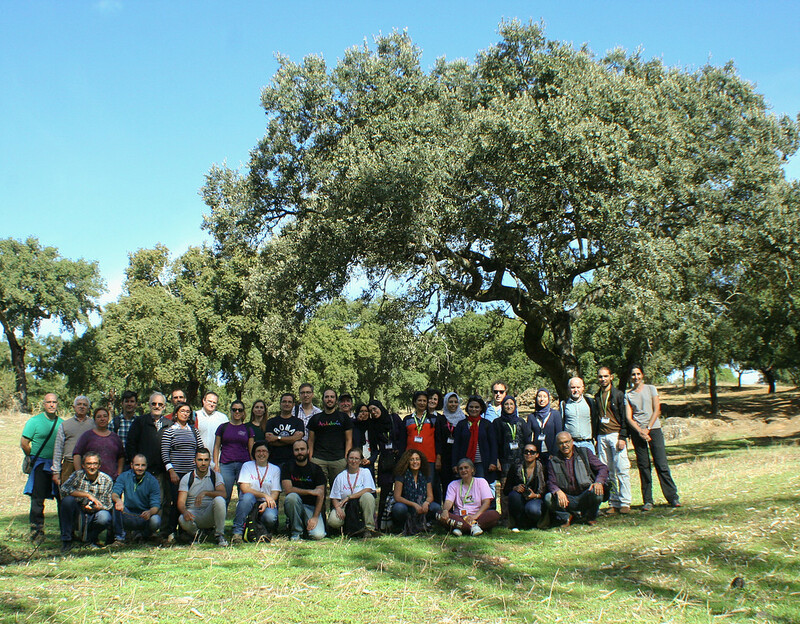 3rd Meeting of the IOBC-WPRS Study Group "Integrated Protection in Quercus spp. Forests", Centro de Formação Profissional, Quinta do Marquês, Oeiras, Portugal. 3rd Meeting of the IOBC-WPRS Working Group "Integrated Control of Soil Pests", Subgroup "Melolontha", Aosta, Italy. 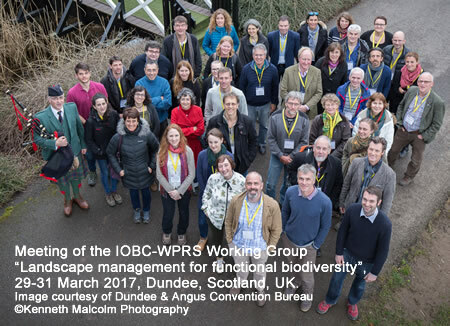 3rd meeting of the IOBC-WPRS Working Group "Integrated Plant Protection in Orchards", Subgroup "Soft Fruits", Dundee, Scotland. Meeting of the IOBC-WPRS Working Group "Integrated Protection of Stored Products" in Lisbon, Portugal. 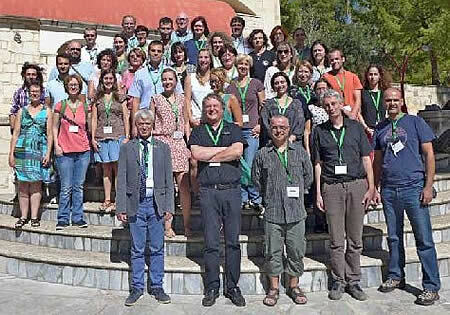 8th European Meeting of the IOBC-WPRS Working Group "Insect Pathogens and Insect Parasitic Nematodes" in cooperation with COST 842 "Biological Control of Pest Insects and Mites", with Special Reference to Entomophthorales, Athens, Greece. 10th Biannual-Workshop of the IOBC-WPRS Working Group on Integrated Control in Oilseed Crops, Universität-GH Paderborn in Soest, Germany.